TFG Fantasy Pundit: Fantasy kabaddi tips for the Pro Kabaddi match between Puneri Paltan and Jaipur Pink Panthers. FOLLOWING A NAIL BITING second half, Meraj Sheykh-led Dabang Delhi pipped Jaipur Pink Panthers 30-26, at Hyderabad. 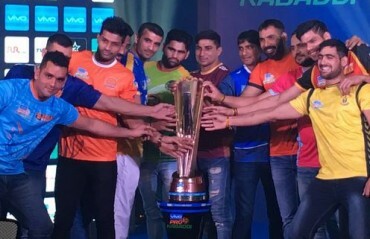 AHEAD OF the first game of the fifth edition of Pro Kabaddi League, captains of all 12 teams got together to pose alongside the coveted trophy in Hyderabad. 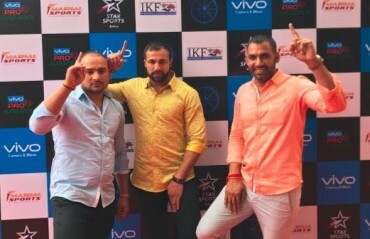 THE STAKES FOR Vivo Pro Kabaddi Season 5 got even higher, with the announcement of a consolidated sum of INR 8 Crores as the coveted prize money for the season. THE JAIPUR PINK PANTHERS were the winners of the inaugural season of the Pro Kabaddi. 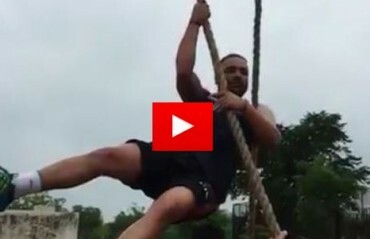 LIKE EVERY OTHER Pro Kabaddi team, Jaipur Pink Panthers are giving it all in the training session ahead of the fifth season of the competition. THE PKL 5 will be a 13 week tournament, comprising 138 matches in a new exciting format. ON THE DAY ONE of Pro Kabaddi League (PKL) auction, raider Nitin Tomar shattered all records as he bagged a whopping Rs 93 lakh bid by GMR-owned Team Uttar Pradesh. 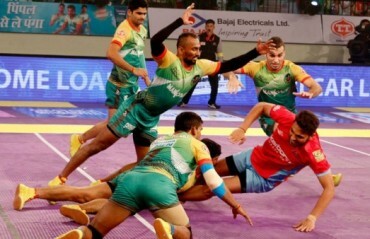 DEFENDING CHAMPIONS Patna Pirates effectively blew the advantage they had built up with back to back wins in PKL 4 when they lost to Jaipur Pink Panthers 21-26 on the last night of their home leg. JAIPUR SIMPLY BLEW Delhi off the mat tonight with a commanding all-round performance. Dabang Delhi were beaten 26-51, the biggest loss of the season so far.